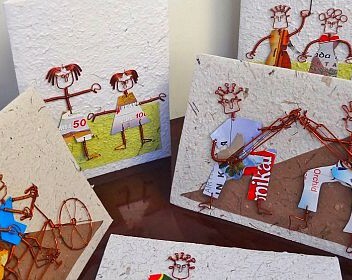 KICK is specialized in recycling waste into cheerful greetings. 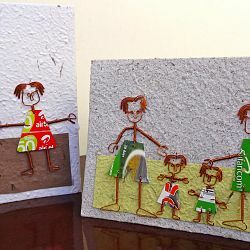 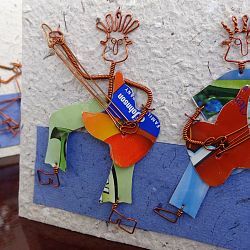 The company utilizes waste paper, water hyacinth, copper wire, tin, tetra-packs and old mobile phone cards to craft beautiful greeting cards for almost any occasion. 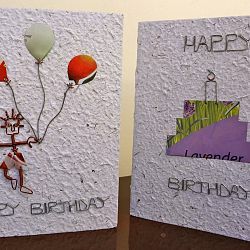 Each card is 100% handcrafted and reflects an amazing ingenuity and ability to improvise. 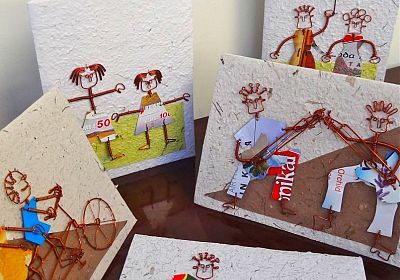 Based on the shores of Lake Victoria, Kick gives employment to disadvantaged youth in the region by offering them training and then helping them set up as independent suppliers.